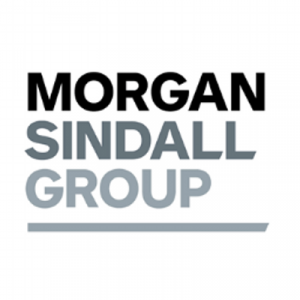 Morgan Sindall Group is a leading UK construction and regeneration group with revenue of c. £2.4 billion. It operates through six divisions of Construction & Infrastructure, Fit Out, Property Services, Partnership Housing, Urban Regeneration and Investments. Morgan Sindall Group had previously aimed to reduce carbon emissions, however providing a group-wide view of energy consumption was a challenge. Information was disparate and stored in a number of different areas. Reporting on the company’s carbon footprint was therefore complex and time-consuming without a robust framework in place. Charmaine Morrell, Senior Sustainability Advisor for the Group’s construction and infrastructure division, Morgan Sindall, works alongside Graham Edgell, Group Director of Sustainability and Procurement. Charmaine is responsible for communicating, monitoring, reporting and implementing sustainability across Morgan Sindall as well as undertaking carbon reporting on behalf of the Group. Reducing the Group’s carbon emissions is an ongoing challenge which Charmaine believes is critical for delivering against the Group’s sustainability strategy. The verified data is important for quantifying accurately our contribution to supporting UK Government’s commitment of 80% reduction in carbon emissions by 2050. According to Charmaine, ‘It’s not just what we build, but also how we build, that has the potential to have a huge impact on the environment, and this is a responsibility we take very seriously. For us, it’s necessary to make low-carbon choices wherever possible, whether that’s promoting the use of fuel-efficient vehicles, hybrid generators, eco cabins for site accommodation, retrofitting LED lighting in offices or by diverting waste from landfill to avoid unnecessary vehicle movements.’ Charmaine also believes that presenting the Group’s carbon and energy measurement data in an easily comprehensible way engages colleagues as well as supporting work winning teams in demonstrating future energy saving plans to customers. In 2010, the Group implemented greenhouse emissions certification; CEMARS® (Carbon & Energy Management and Reduction Scheme) managed by Achilles, and Charmaine project manages the CEMARS process across the Group. • Encouraging good driver behaviour through installing Visual Display Units on dashboards, which immediately alerts a driver when he or she is engaging in fuel-inefficient behaviour, such as excessive braking, accelerating or idling. • Holding regular awareness-raising Sustainability Days which focus on how employees could do their bit to reduce fuel and electricity use Morgan Sindall Group is the first company to have received the gold certificate awarded to organisations that achieve six successive years of verified carbon reduction evidenced through their annual audits by Achilles. The CEMARS auditors verified that the Group has consistently reduced its carbon footprint year on year and by 54% since 2010, with 9.1% in 2015 alone, repeatedly exceeding the Group’s environmental target. In 2010, the Group set a carbon reduction target of 20% by 2015 and achieved 54%. Similarly in 2015 it aimed to reduce carbon by 5% but actually achieved 9.1%. The A1 Leeming to Barton major highways project. 5,500t of carbon was saved through large-scale waste minimisation, where 600,000 tonnes of spoil from the scheme was re-used as infill in a disused quarry, restoring the area back to agricultural use and creating a wildlife corridor to enhance local biodiversity, rather than transporting waste to landfill. M1 Junctions 19–16 highways project. Morgan Sindall also saved 170.29tCO2 by processing and then reusing 20,000t of asphalt planning’s and concrete material on site, saving 116,292 disposal lorry miles. using a world-first thatched timber cladding system. Lovell has reduced business travel by 424,732 miles in 2015 by promoting car sharing and introducing driver safety and eco awareness training for staff driving over 10,000 business miles a year. Car sharing culture is promoted by using the internal communications software to minimise travel.